The start of this school year brought noticeable changes within Grace’s high school community. 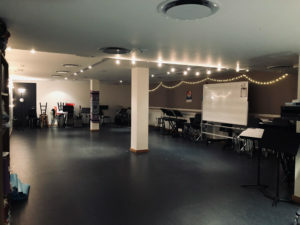 The fourth-floor expansion is now open to all who wish to enjoy it, our beloved, worry-free, Wednesdays have been reconstructed, and several new teachers and classrooms have popped up around the school. However, there is one curious addition that is puzzling high schoolers as they transition into their daily academic studies: Why are there 7th and 8th graders roaming around the high school campus? This year, Grace has created a new inclusivity program which integrates rising high schoolers into a few of our high school programs. The action was mainly inspired by the completion of our new state of the art gym. Mr. Mahabir, Head of the High School, gave some insight into why this new expansion took place. 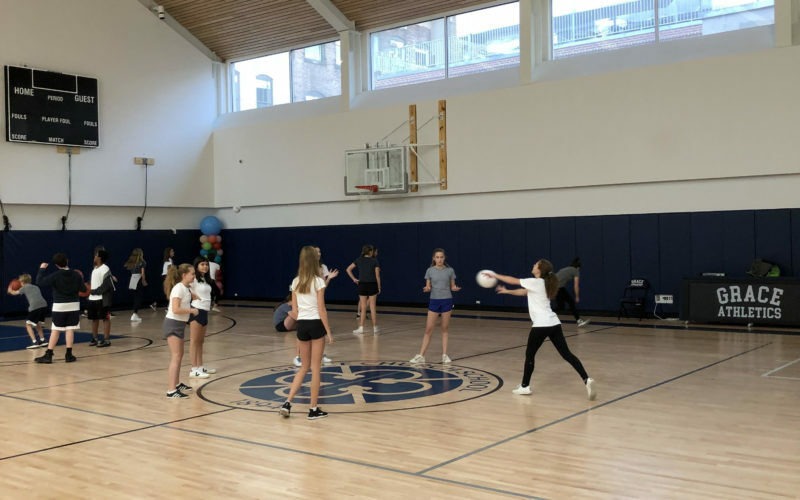 “The plan was always, once we built the gym, that the 7th and 8th graders would be able to come over because it takes some pressure off the gym at 86.” This makes sense considering that the middle school gymnasium houses students from four to fourteen years of age. 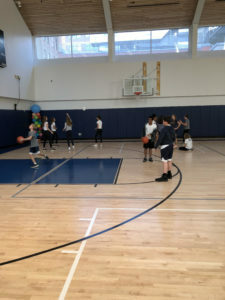 In addition, there are several classes, such as drama, design lab and art being provided at the high school that would otherwise be held at the middle school campus. High school vocal music director and 8th grade drama teacher, Mr. Leonard, commented “It’s exciting that the 7th and 8th graders are being taught at the 46 campus because they get to have a feel for what it would be like to be a student at the high school.” For the middle schoolers, having this experience provides them with a sense of independence and connects them with their natural mentors: the students of the high school. Although this new program seems like an amazing opportunity to link our two communities, it also raises some concerns. The difference between a middle schooler and a high schooler is often very different, both physically and emotionally, and bringing them together could feel as though the school is undermining this distinct transition. 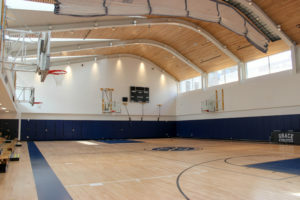 Although both 86 and 46 are two branches of the same school, the high school is in a separate building which gives the students a solid transition point from childhood into an environment of serious academic discovery. Because of this separation, many students feel that the high school has its own identity and sets itself apart from the lower school. Mr. Davison, The Head of School, explained how this program will help better unite the two buildings. “We are one school. There will inevitably be a feeling of distinctness, especially among the large group of students who arrive in 9th grade and do not experience 86. This will be increased now that all HS home games will be at 46. We want to do as many things as possible to bridge the divide. For example, the Middle School will be at homecoming next week.” Having the middle schoolers and high schoolers use the High School building eases the 7th and 8th graders transition into high school as well as allows them to see the how 46 operates on a daily basis. Various high school students voiced their concerns about sharing the high school with Grace’s 7th and 8th graders. Since the program began, many high schoolers have noticed that the younger students have been disrespectful, running around the halls and being particularly loud while classes are in session. Annie Porter 20’ commented “I have US Civics and Citizenship on the fourth floor and recently, I have noticed younger students being very distracting to my whole class. They were being very loud and were sprinting past my classroom which completely disrupted my thinking process. I think that if they are going to take classes at the high school, they need to act more professional and mature.” For many, the high school is seen as separate, even disassociated, from the lower and middle school. It is difficult to make a mental transition from having no consistent relationship with 86, to seeing the middle schoolers on an almost daily basis. Misha Cutter Nye ‘19 stated “Middle schoolers are loud and disrespectful. High school is a privilege, we have more freedom and when they come here they are invading our high school space. They will get here eventually so I don’t understand why they have to start now.” Misha also had an intriguing idea about how to mitigate this issue. “There is an existing peer leadership program, so if the middle schoolers are going to be here already, they should have their peer leadership meetings at 46. This could help the 7th and 8th graders become more integrated when they are in our space,” she added. 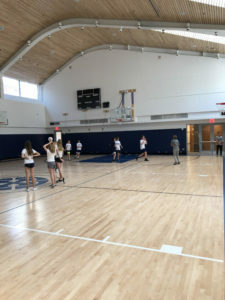 While some view the sharing of the high school as an unreasonable proposition, Grace Church School is comprised of a lower, middle and high school, despite the campus separation. It is important to remember that many of the middle schoolers will someday make up this high school. The high school community must always keep in mind that the 7th and 8th graders look up to us as mentors and guides. Dana, liaison to high school families and Admission Associate, gave some advice for the high school students on how they should act around the middle schoolers. “It really important that the 7th and 8th graders come here because we want the students from 86 to feel comfortable in our space of learning and get an idea of the student life at the high school. This is a shared space and we are happy to open our arms to the middle school students as well as get them pumped to come to the high school. All of the high schoolers should remember that they are role models to the middle schoolers and as such, they are expected to be mature, young adults.” It is the intention of this new program that, someday, there will no longer be such a prominent divide between the two communities. “Any time we mix up the populations of the two schools, I think it makes Grace a better place. I’m confident, the middle schoolers will take the opportunity seriously and actually step up their “maturity” when they visit because they will be inspired by the presence of our high school scholars.” Mr. Reilly stated. For now, we must try to not make assumptions of what this new program will mean for us individually and instead embrace the change as a first step towards joining the two campuses together. As a middle schooler I think this is a little inappropriate. The gym was mainly funded by middle school parents and restricting our right to use it is ridiculous. Furthermore, the distinction between high schoolers and middle schoolers here is false, basically every other school in Manhattan has their high schools in the same building as their school(Dalton, Trinity etc). It’s also false to claim that we disrupt classes. It takes maybe 40 seconds for us to pass your classroom. It’s not like the high schoolers don’t interrupt our classes, high schoolers consistently print stuff to the printer in the computer lab despite the fact that we have a class in there. In addition, high schoolers got to have all their games in our gym for the past 4 years. This is clearly just someone attempting to justify an illegimate prejudice for students that are 1 year younger by inventing problems that aren’t actually problems. On behalf of the editorial staff, we value you sharing your opinions. Although our perspectives on the topic differ, we encourage you to continue reading and engaging in what we have written. Feel free to approach any of the journalism staff while you are here if you want to further express your perspective. It has come to my attention that high school students have traveled to the middle school system of the school for chapel. Before the school day started those students from the high school would play outside in the school yard of 86. They interrupted the middle school students, play in the yard because they were stronger and older. Some of the students at 86 have been going to this school system for more than 2 times the amount of time in which the senior’s at the high school have. Of course not including the students in the 14 year club. Most of the funding for the high school came from middle school Grace parents. The students of the middle school and the high school should be respectful to one another, and we shouldn’t be enemies.